If you have completed your high school coursework and have your diploma in hand, then obtaining your associate's degree may be the next milestone on your list! Before you seal the educational deal, be sure you know all there is to know about this degree program and what it can do for your future career. Find online associates degree programs below to get started. 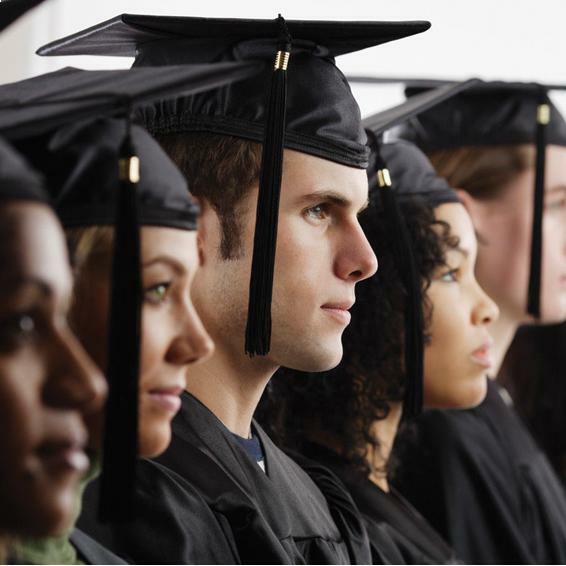 Associate's degrees typically require students to complete two years of coursework towards a specific field of study. This academic degree is generally offered by community colleges, technical or vocational colleges, junior colleges, and some four year colleges and universities. For the most part, an associate's degree is equivalent to the first two years of course work for a bachelor's degree. Although an associate's degree is the lowest degree program in a hierarchy of post-secondary degrees, it still makes many opportunities available to students. For instance, because this degree program is shorter in length the debt a student incurs to get their post-secondary education will surely be less. Additionally, many career paths do not require that an individual have anything higher than an associate's degree. As you work to obtain your associate's degree you will most likely be required to complete coursework related to humanities, English composition, social sciences, and mathematics. However, if you are required to take any remedial level courses it may take you longer than two years to complete your associate's degree. Typically, an individual's grades and test scores in a high school subject area will determine the need for remedial courses at the post-secondary level. Associate's degrees are ideal for individuals who only plan to attend college on a part-time basis. This makes it more feasible for a student to maintain a job or to raise a family while still working on his or her degree program. In fact, many higher learning institutions offer coursework during weekend and night hours to accommodate these students. An associate's degree can be completed at a traditional brick and mortar school or through an online institution. As long as you do your homework to ensure that the learning institution is accredited, your associate's degree will be the same from either establishment. Most higher learning institutions offer associate's degree programs in: business and commerce technologies, health services and paramedical technologies, data processing technologies, public service related technologies, natural science technologies, and mechanical and engineering technologies. Keep in mind, if none of these degree programs fits your intended career path, then be sure to check with the learning establishment that you plan to attend. It is perfectly reasonable to locate a school that offers the degree program that you plan to complete. If you feel that your existing skills base is adequate, you may want to consider taking the CLEP (College Level Examination Program) test to eliminate courses that you already excel in. Not only will you be able to skip some unnecessary coursework, this could help you complete your degree program sooner than you originally planned! Get started on your online AA degree.